While at the 2017 World Championships, PVGC’s Addison Mohler was invited to join the US Goodwill Team to compete in the 2018 Emerald Classic in Ireland which was held this last June. With over 100 shooters from 9 countries, the competition was stiff, but Addison held his own. Day 1 consisted of 1100 and 1200 yards and Addison finished in a respectable 6th in the grand agg. Day 2 was a Palma match (15 shots for record at 800, 900 and 1000 yards) and finished third overall for the day. Day 3 was another Palma match and another strong finish with a 1st place victory. By the end of individual competition, Addison accumulated enough points to win the grand agg and the individual championship, not to mention some serious hardware. 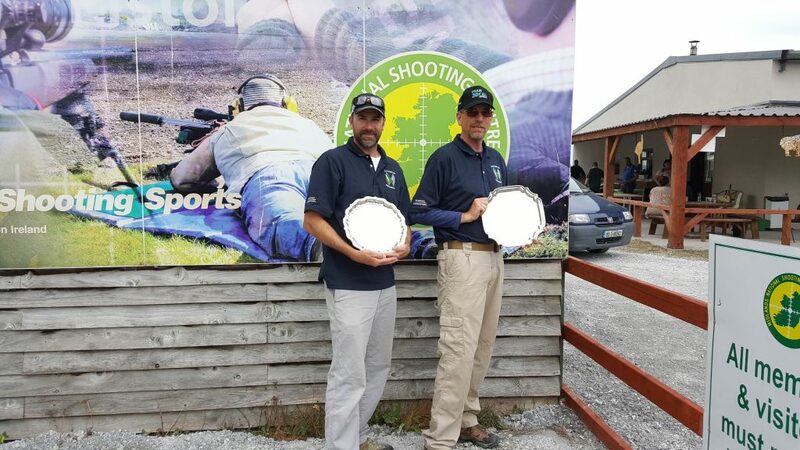 The final day of competition was a team match, and under the guidance of coach Dan Bramley, the US Goodwill team finished 11 points ahead of the next closest competitor, Great Britain, for a 1st place victory. As a result of his strong performance, Addison has been invited to try out for the US F-Class Rifle Team this coming September at the F-Class National Championships in Raton, New Mexico. The Irish people are absolutely the most hospitable folks that I have run into on my limited travels. We could not pay for anything and if you had an empty hand is was quickly filled with a pint. Not many of the guys we hung out with drank Guinness but preferred a beer called Smithwicks which I really liked. I’m not much of a Guinness fan but I had a few pints and enjoyed them. Tullamore Dew is made about 10 Km from the range and Dew and Ginger Ale is a local favorite as well. I will be going back in 2019 and will stay a few days on each end so that I can see more of Ireland. Congratulations Addison and best of luck at the tryouts!